Your knees are an important part of your life that is often taken for granted…until they hurt. Normally, there is smooth cartilage that covers and protects the ends of your bones where they meet in the knee joint. Joint fluid provides lubrication and extra cushioning between the knee. When you have osteoarthritis of the knee, the smooth cartilage begins to wear away and become less protective. The joint fluid loses its ability to keep the knee lubricated and cushioned. 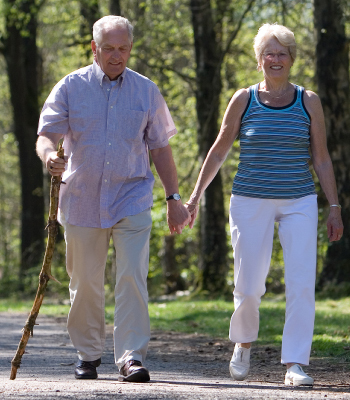 This results in pain and stiffness that can make walking and enjoy everyday activities difficult. Causes of osteoarthritis include: Being overweight, Getting older, Joint injury, Poorly formed joints, Genetic factors, Overuse from a physically active lifestyle. Osteoarthritis is the most common form of arthritis. It usually begins after age 40 and is most common in people over the age of 65, but people in their 20s and 30s can get it, too. Symptoms of OA include aches and pains in the knee, stiffness, particularly in the morning or when standing up, “grating” or “catching” sensations, limited motion, and redness and swelling. Only your healthcare provider can tell you if these symptoms are from OA. The treatment that is right for you depends on how far your osteoarthritis has progressed, how much pain you are experiencing, and what has worked (or not worked) for you in the past. The knee surgery prevention program treatment options include Physical therapy, exercise, and weight loss, Nonprescription pain relievers such as acetaminophen, aspirin, ibuprofen, and naproxen, Prescription medicines, Hyaluronan injections, Steroid injections, Knee surgery. Our program uses Hyalgan injections combined with physical therapy to relieve knee pain. Hyalgan contains a natural substance known as hyaluronate, which is normally found in the fluid that lubricates and cushions your knee joint. The Hyalgan is injected directly into your knee between the joint space. The program consists of five Hyalgan injections that are administered once a week. Physical therapy is conducted three times a week to keep the joint(s) moving. The therapy is key to the injections’ success. Studies have shown that this knee surgery prevention program can relieve pain for up to 6 months. You can safely repeat treatment with Hyalgan for years of pain relief. Hyalgan has been shown to relieve pain longer than injections containing a steroid without the potential for steroid side effects, such as damage to cartilage. Osteoarthritis of the knee cannot be cured, but the pain can be controlled. You may want to discuss future treatment with your healthcare provider if and when your pain returns. Pain relief varies from patient to patient and may depend on the severity of the disease and intensity of the pain. Most patients begin to feel relief within 1 week following the third injection; however, some patients did not get pain relief until after 5 injections. Hyalgan is not a drug. Its active ingredient is a natural product that is injected directly into the knee. It works differently from pain pills because it does not have to pass through your bloodstream to work. Because you don’t have to take it orally, it can’t cause stomach upset or bleeding problems like some pain medicines. Hyalgan does not interfere with any other medications you may be taking for osteoarthritis or other conditions. It is safe enough to use again and again.